How to Install VIM editor on Ubuntu? Vim is a text editor and improved version of Vi editor. 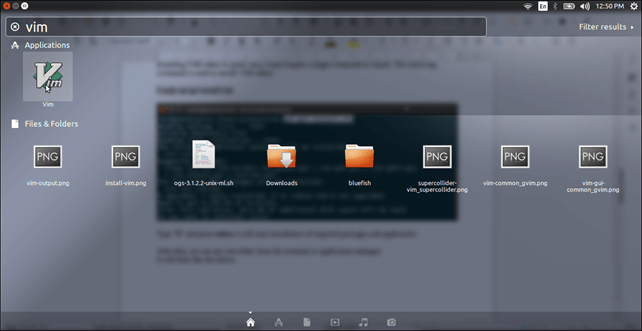 It is designed to use as CLI (Command Line Interface) and GUI (Graphical User Interface) application. It is designed and developed by Bram Moolenaar and first released on November, 1991. 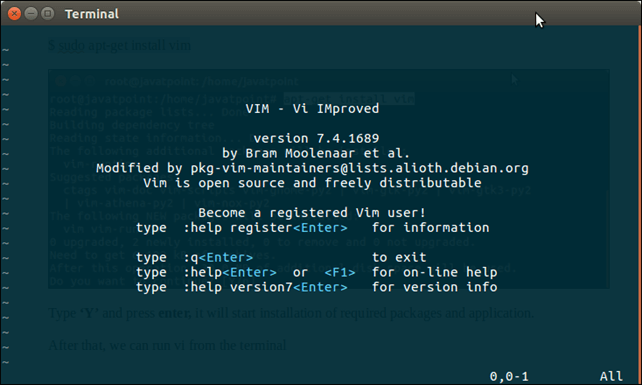 In this tutorial, we will install VIM editor on the Ubuntu operating system. To install, make sure we have updated version of Ubuntu and functioning terminal. Installing VIM editor is pretty easy, it just require a single command to install. The following command is used to install VIM editor. Type 'Y' and press enter, it will start installation of required packages and application. After that, we can run vim either from the terminal or application manager. We can find it in system by typing VIM, as we did below. Click on the icon and it will open a terminal for VIM editor. It looks something like the below. Well, we have successfully installed VIM editor on our system. Now, we can use it to code in any programming language.